In 2018 the ultra runs will be on Saturday, October 27. at 10:00 a.m. 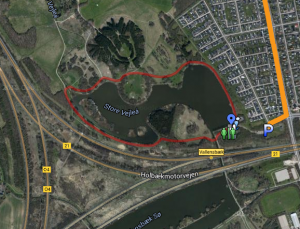 The run will be held around the beautiful Vallensbæk mose near Albertslund. Distance: 2221 m per. round. The route is DAF measured. The route is clearly marked and there will be guides / helpers on the route to ensure you a good and smooth run. Individual 42,195 km / 6 hour. Start numbers can be picked up at the race site from two hours before race start to 30 min. before race start on race day. Number Extradition is clearly indicated but please be there early! Chip timing is inside the start numbers. Therefore they must not be bent. Start numbers must be worn visibly at the front of the runners throughout the race. Relay team runs with a chip in a baton. Baton must be worn in the hands and may be handed over to the next runner only in the transition zone. There is a depot for each round of app. 2 km. There will be a wide selection of refreshments, inter alia, water, energy drink, salt sticks, candy and fruit. Toilets will be available in the depot area. It is possible to provide self-catering accommodation in the depot area. You place it yourself before starting. From Highway 21 selected exit 3. Turn north on Vallensbaek Torvevej and left onto Vallensbækvej. 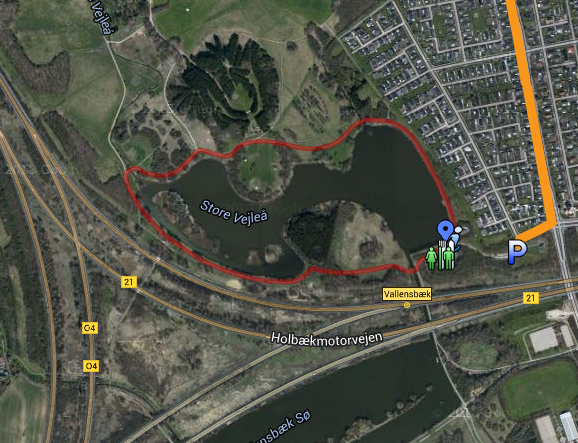 Continue straight onto Rendsagervej and turn left toward Vallensbaek Mose. 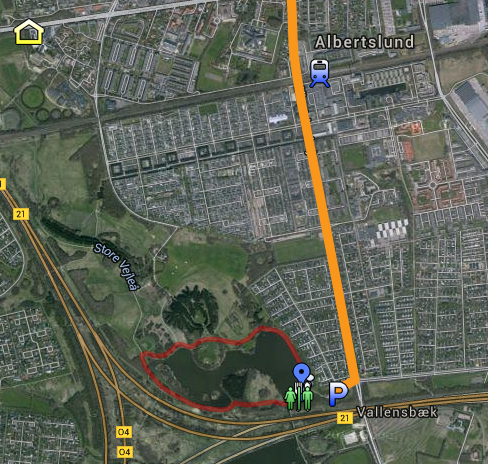 Get off line B towards Taastrup at Albertslund station and proceed on foot (about 2.1 km, about 32 min.) To the south of Alberslundvej to Rendsagervej (on the right).